Summer childhood days couldn’t be any closer, this is a sweet and sour juice that will surely make you feel like a kid again. Summer childhood days couldn’t be any closer, our Crisp Lemonade is a sweet and sour juice that will surely make you feel like a kid again. 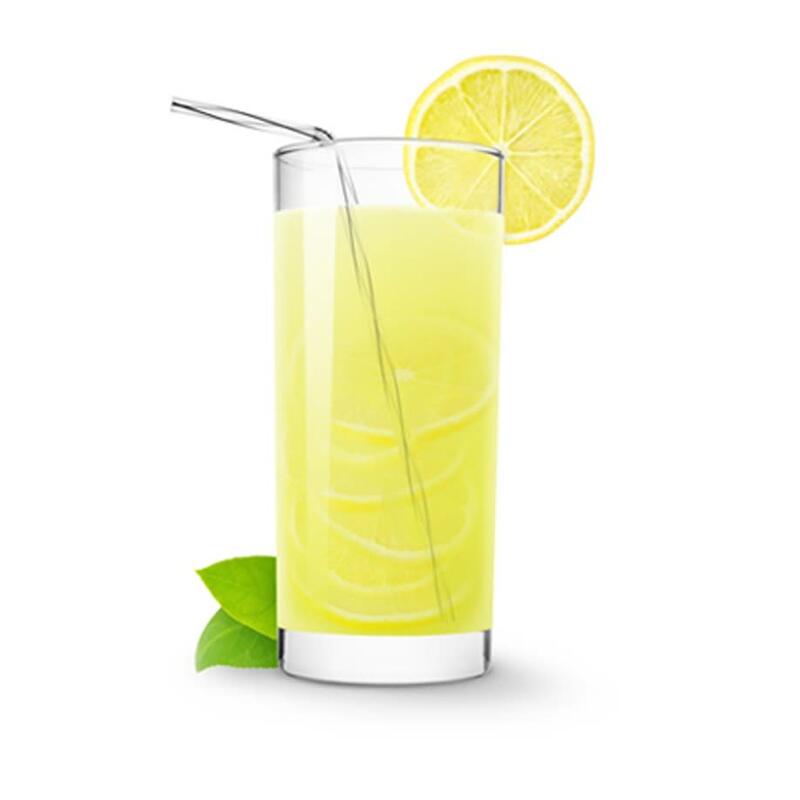 Tasting just like a freshly squeezed glass of lemonade, it is a perfect juice for those vapers who want a sour vaping experience balanced with just the right amount of sweetness. Our 60% VG, 40% PG blend delivers solid flavour and clouds of vapor in any device. It mixes well with almost any flavour, try it with our Sweet Watermelon, Pure Mango, or Fresh Strawberry for a slice of summer all year long! "Best on the block, subtle lemonade that refreshes instantly." "It's so hard to find a sour flavor of juice that you won't get tired of, but the crisp lemonade satisfies"
Light on flavouring but that's why I like it. Not overpowering or overwhelming your taste buds. I mix it with Fresh Strawberry by 180 and add a little bit of Smooth Mint also by 180 to make a fresh, fruity summer drink flavour. I'm not a big fan of juices that make me feel like I just ate dessert (they make me want to have a smoke) so this juice was a wonderful find. It has a bit of a powdery taste (like lemonade made from a mix) but strikes a nice balance between tartness and a hint of sweet. More citrus flavours, please! You know when you have that feeling that brings you back to your childhood? That’s this juice for me. I don’t know if it’s like a drink from school or candy or what, but it just makes me feel really happy. You can mix this flavour with practically anything to give it that little extra bit of a tang. Love it. Not a whole lot of lemon flavour and not as sweet as I was expecting. Mixed this fresh strawberry and OH MY, it’s heaven! I love this juice because it actually has a tart flavour to it. Not too sweet. Not my usual choice, but I thought I’d give it a try. I gotta say, not bad! Not too sweet, more southern. Not an exact flavour of lemonade I’m used to, but I could see where they were going with this. “Southern lemonade” would be a more appropriate title. A bit different than what I was expecting. They went for more of the sour lemon than the sweetness of lemonade, but it’s still not the worst I’ve had. I’ve been getting this flavour basically since 180 opened. Definitely would recommend. This checks off all the boxes of what I like in a vape juice. Not overly sweet, not too sour, bursting with flavour and big on taste. Couple that with the quick shipping time and how quick customer service was answering all of my questions; I’m definitely going to be placing another order in the future!